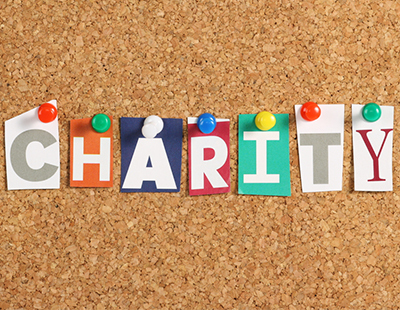 The World Cup may be entertaining us for the next few weeks but whatever England’s fate may be, one thing is sure - our industry will still be waving the flag for good causes. 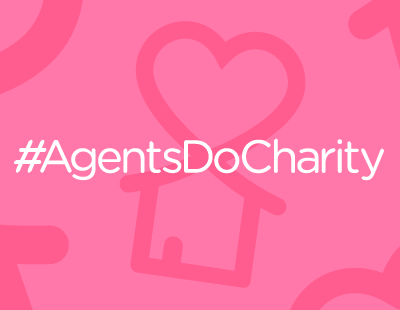 This week’s Agents Do Charity is full of heart-warming work done for those who need a little extra help. If your branch or friend is doing something, please let us know on press@estateagenttoday.co.uk. 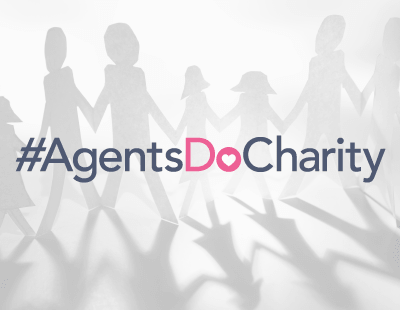 Agents Giving Day, next Thursday: The industry’s very own charity is encouraging agents to donate a food parcel to their local foodbank. 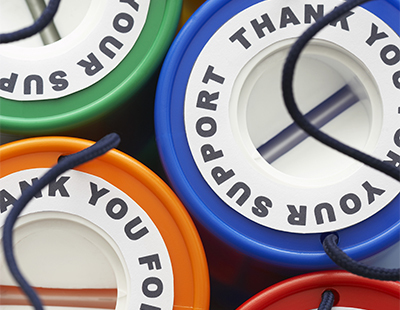 Paramount and Thomas Morris branches are acting as a local collection point in their communities and Agents’ Giving says it would love even more agents to do the same and help make a difference to those struggling in their local communities. Spencer Lawrence, MD of Lettings at Paramount says: “On June 21 let’s collaborate to collect food parcels for our local foodbanks. Offer your office as a collection point for other businesses and your community. We urge you to visit your local foodbank to see the incredible work undertaken by the volunteers and to meet with and talk to those who rely on the food parcels and support. It certainly made the invisible very real and visible to us. Good luck with your collections”. For full information on how to get involved with this initiative, please visit the Agents Giving website agentsgiving.org to find your local foodbank. Fine & Country Foundation: Emma Preston, Regional Manager for GPEA and Clint Nykamp from Fine & Country West Midlands have successfully completed the third race in the 12 Marathons Challenge to raise money and awareness for homelessness. The pair made their way to Yeovil. Somerset, for a hot and humid race on Sunday June 10. The two-lap course was accompanied by cheering crowds, committed Marshalls and stunning views. For information about Emma and Clint’s races, please visit www.fineandcountryfoundation.com. To support their mission to raise money and awareness for homelessness on local, national and international levels through The Fine & Country Foundation, visit www.justgiving.com/companyteams/12FandCMarathons. Andrews Charitable Trust: A pioneering community counselling project has officially launched, thanks to a £2,000 donation from local property business, Andrews, and its shareholder, ACT. Based in the café at St Peter’s Church, Filton, The Listening Ear project is a collaboration between the church and Network Counselling and Training. The project, which is the brainchild of Reverend Elizabeth Gregory, found out in October 2017 that it had been awarded the grant by ACT and has since trained ten volunteers to act as listeners to those who are most vulnerable in the local community. Farleigh Hospice: Beresfords was proud to sponsor the annual Maldon Mud Race, which took place on June 10, described by event organisers as ‘probably one of the most unusual events in Britain’. Joining competitors from all over the world, a brave group of Beresfords colleagues lined up to run, wade and crawl through the mud to raise vital funds for Farleigh Hospice. One particularly athletic member of Team Beresfords was the second female to complete the course, leaving her husband stuck in the mud some hundred metres back. “The Maldon Mud Race is a fantastic event, attracting competitors and spectators from far afield. I’ve participated alongside other members from Beresfords for a few years, and by now I’ve learnt to tape my trainers firmly to my feet for fear of losing one in the mud,” laughs Beresfords Operations Director Paul Ashton. Last year the event raised an amazing £35,000, with the fundraising total for 2018 still climbing. Beresfords was proud to join the charitable efforts once again, raising over £400 for Farleigh Hospice, an Essex-based charity providing hospice care to those affected by life-limiting illness and support to those who have been bereaved. Muirfield Primary School, Angus: Pupils from Muirfield Primary School have shown off their artistic skills in Wardhaugh Property’s ‘Draw Your Dream Home’ competition. The Angus-based estate and letting agent invited pupils at the school to draw a picture of their dream home, with the winning design being selected as the front cover of its glossy new summer property guide. The talented young artists rose to the challenge, producing a range of colourful and creative designs. The winner was announced as P6’s Finn Reid, with runners-up being named as Annabel Davidson, Niamh Mollison and Jesika Wade, all from P6, and P4’s Lily Petrie. Wardhaugh Property presented Finn with his prize, a £20 WH Smith voucher, along with boxes of chocolates for the runners-up and a £100 cheque for Muirfield Primary School. As a thank you, Wardhaugh Property is offering parents and family members of pupils at Muirfield Primary School 10 per cent off the marketing price if they list their property for sale with Wardhaugh Property before the end of September. The firm will also give a £50 cheque to Muirfield Primary School for new books. Anna’s Hope: Thanks to James Dawson from Wilson and Co Homes, an independent agency in Peterborough, for getting in touch with this great story. The Donna Louise Hospice: Paul Staley, PRS Director at property services company SDL Group has now returned from a gruelling 560 kilometre challenge, ‘Tower to Tower’, which saw him raise over £60,000 for children’s hospice The Donna Louise. Part of a group of 12 people taking part in the challenge, Paul set off from the Eiffel Tower on May 28, cycling through France for 15 hours to the port of Le Havre, before rowing for 36 hours across the Channel to England. The sleep deprived fundraisers then started their final leg, a 100 kilometre trek from Brighton Marina to the Tower of London, where they completed the challenge on May 31. Organisers at The Donna Louise branded this as ‘the toughest and most grueling challenge yet’ and collectively the Tower to Tower team have raised over £240,000, double their initial target. Donations are still welcome and appreciated just visit - http://uk.virginmoneygiving.com/PaulStaley.